With the advent of the Human Genome Project, it has become possible to completely sequence the DNA of a patient or his or her tumor. This technique has the potential to allow physicians to identify a tumor's unique vulnerabilities, or even to predict which tumors will recur or which may be benign enough that no treatment is required. These methods may allow cancer research to progress beyond the era of massive, take-all-comers clinical trials to an era in which every patient receives treatment that is precisely directed at the individual cancer's most vulnerable point. Genomic oncologist Alan Bryce, M.D., studies cancer genetics and novel therapeutics with a focus on personalized medicine at Mayo Clinic Arizona, where he utilizes whole genome sequencing of tumors to identify key driver mutations. 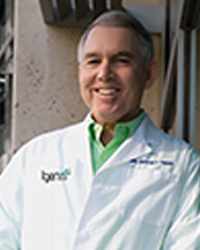 The medical director of the Genomic Oncology Clinic in Arizona, Dr. Bryce has now joined forces with the Translational Genomics Research Institute to launch a new FDA-approved precision medicine clinical trial to fight a deadly form of melanoma. Mayo Clinic and the Translational Genomics Research Institute (TGen) are helping launch a national clinical trial that will apply the latest in precision medicine to treat advanced melanoma skin cancer. The study leverages advances in genomics, informatics, and health information technology, yielding more precise medical treatments for patients with this devastating disease. Mayo Clinic is the only clinical site in Arizona to offer this new treatment, sponsored by Stand Up to Cancer (SU2C) and the Melanoma Research Alliance. These clinical trials are the culmination of nearly four years of research under an SU2C Melanoma Dream Team grant. Metastatic melanoma is a type of cancer that has spread from the skin to other parts of the body, most frequently the lungs, muscles, brain, and liver. Metastatic melanoma is responsible for more than 9,000 deaths a year in the United States, so there remains an urgent need for new treatment options. Mayo Clinic and TGen researchers have a long history of innovative research into improving treatments for patients with metastatic melanoma. This new clinical trial represents the next generation of precision medicine for this disease. Recent dramatic advances in melanoma rest on the twin pillars of immunotherapy and genetically targeted therapy. Immunotherapy may lead to long-term disease control in 30 to 50 percent of patients. For the remainder of patients, approximately half, an alteration to the BRAF gene can be targeted by a new generation of pills. For the remaining patients, however, there are no other treatments proven to prolong life. “This study is unique in offering more than 20 different treatment options in a single trial. By leveraging the power of cancer genomics, we believe we can treat each patient with the best drug for their individual situation. This design offers patients a huge advantage over the old model of treating all patients the same way and only testing one drug at a time,” said Alan Bryce, M.D., Mayo Clinic’s lead clinical investigator on the trial. “Despite significant advances in treatment of melanoma, a substantial proportion of patients still face limited treatment options. By analyzing a patient’s tumor at a molecular level, there is an opportunity to identify individually matched treatments that are not otherwise obvious in a given patient. 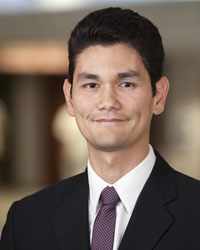 Our study explores this concept of precision medicine for treatment of cancer at a level that has not been done before,” said Aleksandar Sekulic, M.D., Ph.D., a physician and scientist with a joint appointment at Mayo Clinic and TGen. “We are addressing a continuing and significant unmet medical need for advanced melanoma patients who have progressed on our most promising current treatments,” said. Jeffrey Trent, Ph.D., TGen President and Research Director. "The Stand Up To Cancer-Melanoma Research Alliance grant gives us the ability to align cutting edge genomic research with world-recognized clinical centers like the Mayo Clinic, all joining forces to conquer this terrible disease," Dr. Trent adds. The SU2C Melanoma Dream Team is led by Dr. Trent and Dr. Pat LoRusso, D.O., at the Yale University Cancer Center in New Haven, Conn. The Mayo Clinic leadership includes Drs. Sekulic and Bryce at Mayo Clinic in Arizona; Svetomir Markovic, M.D., Ph.D., at Mayo Clinic in Rochester; and. 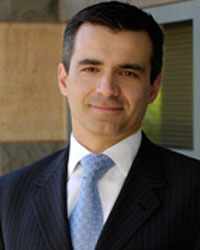 Richard Joseph, M.D., at Mayo Clinic in Jacksonville. The clinical trials, which will enroll patients lacking a particular genetic mutation for whom immune therapy did not work or was not an option, uses the latest molecular sequencing techniques to best match targeted drugs to the unique genetic alterations present in tumors missing the BRAF mutation. The study will evaluate if using this precision therapy approach improves outcomes over current treatments. The clinical trials for the project, titled Stand Up To Cancer Consortium Genomics-Enabled Medicine for Melanoma (G.E.M.M. 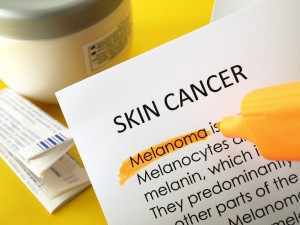 ): Using Molecularly-Guided Therapy for Patients with BRAF wild-type (BRAFwt) Metastatic Melanoma, are being led by Yale University and includes seven other institutions: Barbara Ann Karmanos Cancer Institute, Wayne State University, Detroit; Biometrics Research Branch, National Cancer Institute, National Institutes of Health, Rockville, Md. ; University of Michigan Comprehensive Cancer Center (UMCCC), Ann Arbor, Mich.; Charles A. Sammons Cancer Center/Baylor University Medical Center, Dallas; Indiana University, Indianapolis, Ind. ; Vanderbilt University, Nashville, Tenn.; Memorial Sloan-Kettering Cancer Center, New York. Additional support for this trial was provided by the Gateway for Cancer Research Foundation and the American Association for Cancer Research (AACR). Seven different pharmaceutical companies are supplying commercially available and investigational targeted agents.